Kathryn M. “Katie” Gavin, 92, of Dubuque, Iowa, passed away on October 17, 2018 at UnityPoint Health - Finley Hospital. A funeral Mass will be at 10:00 a.m. on Saturday, October 20, 2018, at St. Anthony’s Catholic Church, with Rev. Steven Rosonke officiating. Entombment will follow in Mount Calvary Cemetery. Visitation will be at Leonard Funeral Home & Crematory, 2595 Rockdale Road, on Friday, October 19, 2018, from 5:00 p.m. to 8:00 p.m., with a wake service at 7:45 p.m. Family and friends may also pay respects from 9:00 – 9:45 a.m. on Saturday, October 20, 2018, at St. Anthony’s Catholic Church prior to the funeral. Katie was born on March 2, 1926 in Cascade, Iowa, the daughter of Emeret and Ida (Takes) Koob. She married Thomas L. Gavin April 20, 1948 in Cascade. He preceded her in death on September 1, 2015. Katie was a meticulous homemaker and worked at Leiser's Supper Club for many years. Faith and family were the core of her life. 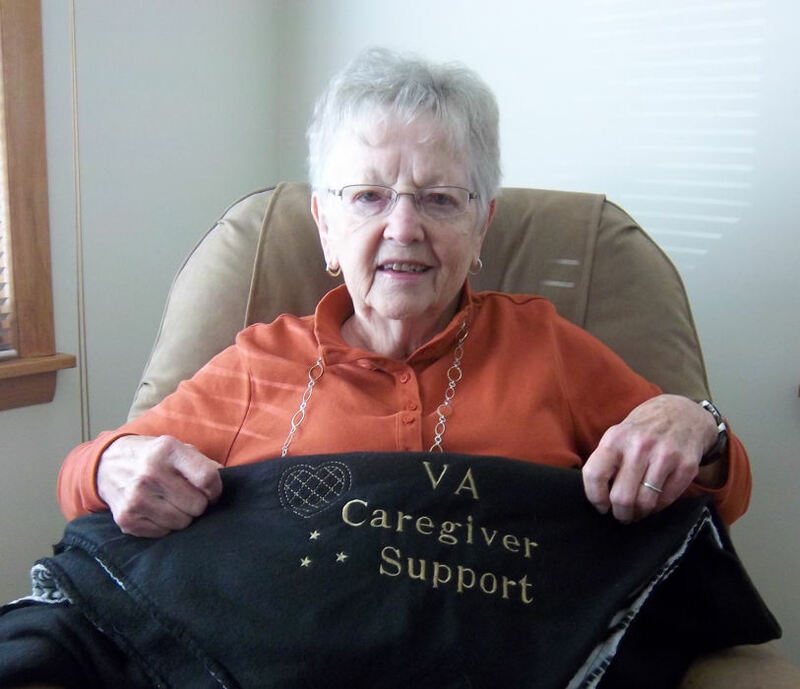 She was Tom's loving caregiver for over 25 years as he declined due to Alzheimer's disease. Even when circumstances seemed to make it impossible, she found joy in each new day. She loved to travel, and looked forward to meals with family and friends, including the monthly Koob family breakfasts, and lunch with her friends at the Lifetime Center. She loved the falling snow in winter (even in April). Katie was a lifelong seamstress. She made over one hundred beautiful, hand-sewn quilts, which she gave as gifts to her family and charities. She had a strong work ethic and taught it by example to her children and grandchildren. She is survived by her children Shirley (Dan) Lanners, of Dubuque, Lou Ann (Robert) Austin, Reno, Nevada, and Gary (Rosemary) Gavin, of Iowa City. She is also survived by her grandchildren Carrie (Richard) Brown, Jason (Mandy) Charley, Roger (Lori) Brown, Amy (Phillip) Wagner, Thomas Pike, Joshua (Brittany Lippstock) Pike, Jonathan Pike, Heidi (Zachary) Williams, and Katie Wolf; and many great-grandchildren: Collin, Eric, Chloe, Julie, Kaylee, Matthew, Lily, Amelia, Bailie, Jase, Max, Alyssa, Lilly, Sawyer and Finley. Katie is also survived by her siblings Florence Coyle of Anamosa, Rosie (Al) Smith of Cascade, and Mary Lu (Frank) Takes of Cedar Rapids, and in-laws Dale Weidemann of Bradenton, Florida, Rita Gavin of Dyersville, Celia Gavin of Cascade, Jack (Bea) Gavin of Maquoketa, and Dave (Lois) Gavin of Bernard, and many nieces and nephews. She was preceded in death by her parents, her husband Tom, her siblings Irene Rogers, Joseph Koob, and Helen Weidemann, and her in-laws Merlin Rogers, George Wilmer Coyle, Cecelia Koob, Oscar Gavin, Justin Gavin, Arlene and Jack Cook, and LaVonne Gavin. Rather than flowers, Katie requested that memorials be directed to The Dubuque Community YMCA/YWCA Shelter for Women and Children or Hills & Dales, both in Dubuque. Special thanks to the caregivers at Manor Care, Sunset Park Place, and UnityPoint Health - Finley Hospital for the wonderful care and respect for her dignity that they gave Katie as she declined.